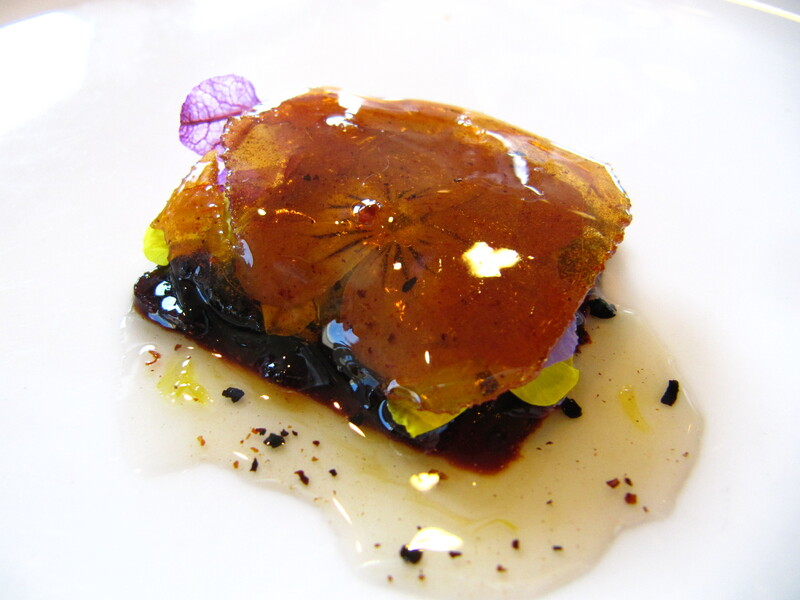 A friend of mine told me about Pure Cote B-790 and the work that Alinea was doing with it. I looked at this link (click) and my mind started racing with ideas of the things I could do with this. 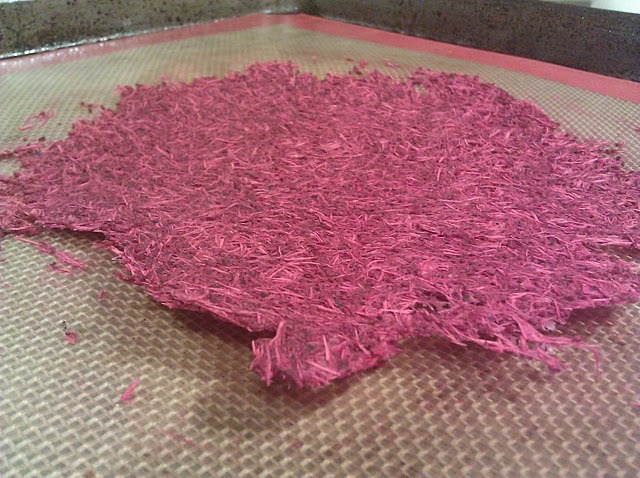 I was cooking Thanksgiving dinner and I made a cranberry puree and had the skins and the other spice residues (tonka bean, black pepper, other things) left-over from the puree that I decided to dehydrate in order to work it into the pure cote b-790. After I dehydrated it completely then I turned the cranberry into a powder then mixed. I weighed everything then tried an 11% use per weight ratio of pure cote. 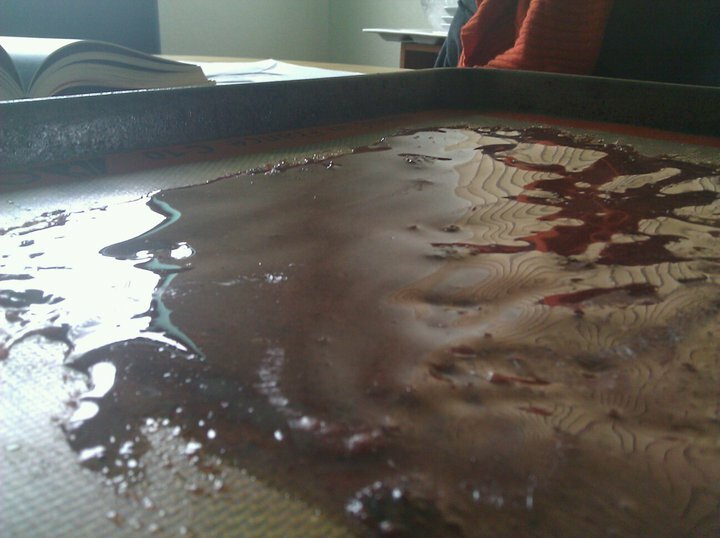 I heated the isomalt, glucose, cranberry, and pure cote to 160F then poured it over the silpat, let it dry overnight and then checked it out the next morning. Success! There are a couple things I want to do to clean it up a little bit (strain mixture before pouring, use acetate to make thinner sheets, etc…) and maybe increase the rigidity of the final product but that can be addressed with the Ultra-Tex as recommended in the link or maybe I’ll shoot for something else when I get some time. The goal is to create very thin sheets of this so I can make something that resembles stained glass. I also have an idea for a sheet of ice and see through ravioli (as seen in the link but with a different filling).